Dr. Arteaga is a program director at the National Heart, Lung, and Blood Institute (NHLBI). She leads the Healthy Communities Study, which is a large observational study of 130 diverse communities and 538 children and their families to assess the characteristics of programs and policies and their associations with BMI, diet, and physical activity in children. She is also a member of the Senior Leadership Group of the National Institutes of Health's (NIH's) Obesity Research Task Force and provides leadership on the development and coordination of obesity research efforts across the NIH. 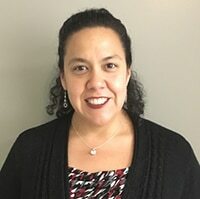 Dr. Arteaga also oversees grants targeting appropriate gestational weight gain, has a diverse portfolio of obesity-related grants, and works on projects related to her research interests that include multi-level approaches to obesity prevention, behavior change, and reducing health disparities. She is also deputy director of NHLBI’s Programs to Increase Diversity among Individuals Engaged in Health-Related Research (PRIDE) training program. Dr. Arteaga received her PhD in community-social/behavioral medicine psychology from the University of Maryland Baltimore County.